How do you differentiate yourself from your competitors and stand out in a crowded marketplace? Taking your brand seriously is key and those leading it are at the forefront of your business and brand communications. It makes sense that the quality of leadership is reflected in compelling executive portraits, available on your intranet and website. The Headshot Guy® has many years experience working with corporate executives and leadership teams across London and the UK. We will quickly grasp your business story as well as capture the calibre and personality of each individual who delivers your brand. Portraying this uniqueness is where our team of specially trained headshot photographers excel. We have a number of headshot options for corporate business teams and individual directors depending on your usage requirements. Rates start from £600 + VAT and are priced on a per person basis. Essentially, we are looking to capture confidence and approachability and have a number of ways to guarantee your team look natural, relaxed and engaging. What makes us different is the unique way we engage with clients, giving them confidence on camera. Shoots are scheduled depending on the number of people you need photographing. We can generally photograph around 50 people per day without compromising on the quality of results. We recommend 10 to 15 mins per person. However, the more time we spend with each person, the better the selection of shots we can provide for you. Please allow longer for senior executives and managers who represent the company as spokespeople at events, in the press annual reports, company results etc. Here we can include a mixture of headshots, fuller length shots, candid “talking head” action shots and feature style portraits. Longer shoots also allow time for wardrobe changes. We always take a selection of shots of each person to find their best angle and expression. The winning shots are then uploaded onto an online gallery for you to choose your final shortlist before being edited. 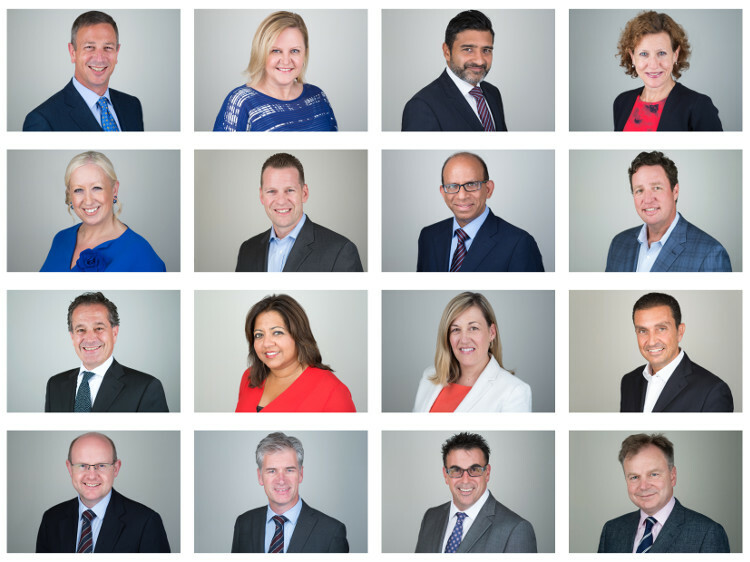 If you have any questions about corporate team headshots anywhere in London or across the UK and would like a detailed quote then please get in touch with us on 0800 0234565 or 01752 873477.